El Camaleon Mayakoba Golf Club - Playa Del Carmen, Mexico — PJKoenig Golf Photography PJKoenig Golf Photography - Golf Photos For Those Who Love The Game. El Camaleon Mayakoba is host to the only PGA Tour event in Mexico and is one of the better courses I have played in Mexico. 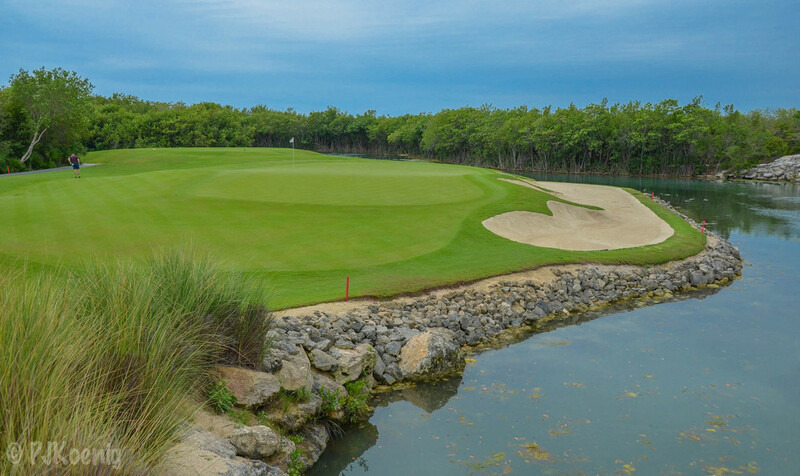 The Greg Norman design has several unique features, starting with the cenote bunker (subterranean cave) in the middle of #1 fairway. The course then makes its way through the mangroves and ends up on the beach for several of the par 3's. We also ran into several coatimundis, which is the weird tropical raccoon in the pictures. On this particular round we teed off with several of Mexico's finest junior golfers. The Mexican junior National Championship was in town and these kids came to practice.